Haiti is one of ILP's Humanitarian Programs and a rather unique place to spend your semester abroad. What's really special about this program is the fact that you live at the orphanage in Haiti with the kids. The volunteers love it and here's why you will too! Living at the orphanage gives you many special moments with the kids outside of class and gives you more time to get to know their sweet personalities. They'll become some of your new best friends and will absolutely love you, especially since you get to spend a lot of your free time just hanging out. 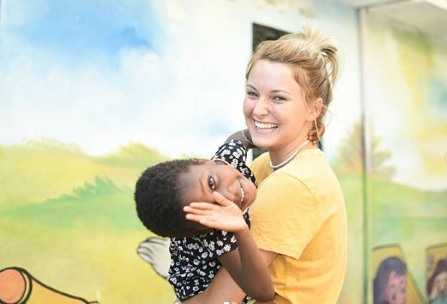 Here's our guide with all the info you need about volunteering, living, and traveling Haiti! Get ready for some cute kids and awesome info! 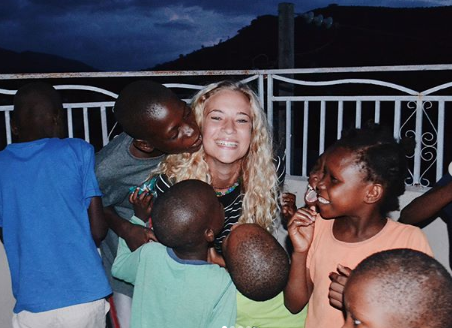 Here's what Madison M. says about her time at the orphanage and what it means to her. As volunteers you live on the top floor and have everything you need! There are three bedrooms, two bathrooms, a kitchen/dining room, and a balcony you can hangout on. The kids don't live on the same floor as you (you have your own space as volunteers), but they do live on the floor below you, so they are still close by. All of the children in the orphanage (and some of the neighborhood kids) attend ILP classes so you see the kids around a lot even when you're not teaching. Keep reading to hear Madison's thoughts. What Are Unique Opportunities You Have Because You Live With The Kids? "We have the unique opportunity of living with a number of the kids that we teach. We get to have dance parties with them, give lots of hugs and snuggles, often time the younger kids will fall asleep while you hold them, the older girls like to FaceTime your family and Angeline (one of the students) has become so close with my family because of that opportunity. "You want to give EVERYTHING to these kids because they have so little. But the thing I have realized, is that the best thing I can give each of them is my time and my love. ALL the time. We get so close to these kids because of the time we get to spend with them and it has been the thing I have loved most about being here." How Much Time Do You Spend With The Kids? "Honestly when you aren’t teaching you can be out with the kiddos. Every teacher spends different amounts of time with the kids, and it depends on the days too. Anywhere from 0-7 hours a day could be spent with the kids. Whereas it is good to take time for yourself, I have tried to remember that my time with these kids is limited and so I try to spend as much time with them as I can. They love to braid our hair, paint our nails, make bracelets, color, watch movies, play on our phones, and most of all... have dance parties." What Have You Learned Living With The Kids? "I’ve learned so much more from these kids than I think I’ve been able to teach them. They have the sweetest hearts. The kids work hard and are such good helpers with everything. They really just want to be loved and fed lots of cookies, candy and peanut butter. They are just like any other kid and they like the same type of things, and want the same things, any other kid their age does. "These kids become your family. I have younger siblings and it’s a lot like that. They look up to you and want to be able to do the same things they see you doing. The funny thing is, you’ll probably look up to them more than they look up to you. " Are You Glad You Live So Close To The Kids? "I am so glad we’re able to live with them. On the days that you feel a little cooped up, take the kids for a walk or watch a neighborhood soccer game... We get to develop strong and lasting relationships with the most incredible kids ever! 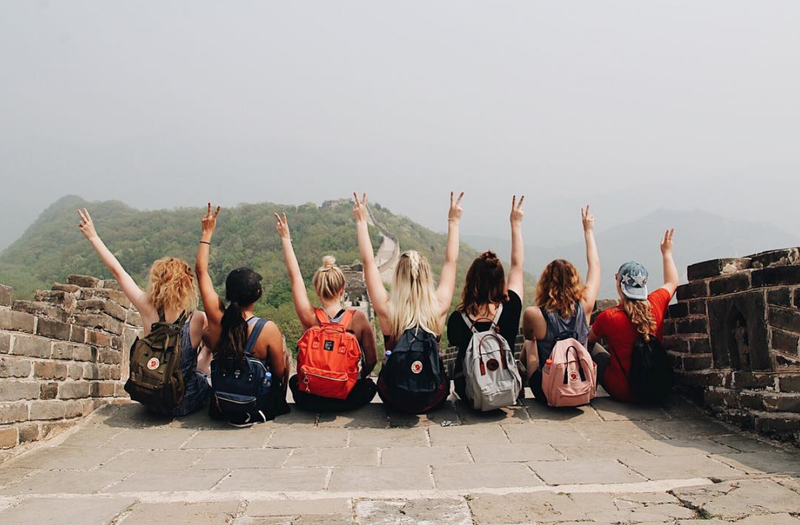 There’s lots of fun things without having to travel, and once you meet these kids you’ll have the hardest time even thinking about saying goodbye so make sure you soak up every moment possible with them! " Any Advice For Someone Going To Haiti? "Bring things for the kids! Things to eat and things they can play with. If possible, bring a little extra money to buy candy or cookies for them at the local markets. They have so much love but have a lot of sass. Always remember that they are just kids so when they behave badly or seem ungrateful because you gave them one cookie instead of two cookies, try to remember when you were a kid you always wanted two cookies instead of just one. Be patient and try and understand their circumstances. "Give them lots of hugs, especially the older kids because they love them even though they aren’t as snuggly. Look at each of these kids the way Heavenly Father would and let them know how amazing and beautiful they are. ILP Haiti is most definitely going to change your life more than you could imagine." 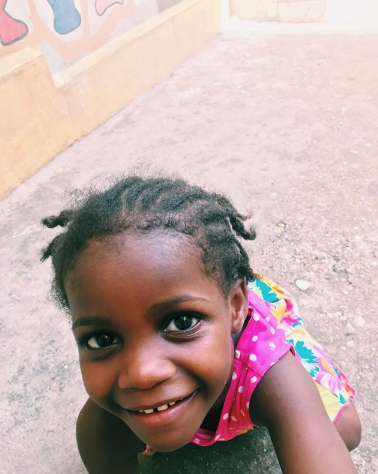 Does living with the cutest kids around and making a difference seems right up your alley, Haiti is perfect for you! Click the button below to learn more about ILP and what a semester volunteering in Haiti is like!